I know of a few HKS SC kits have been sold and either fitted or in process of being fitred so I thought id create a home of discussion for the kit, owners or traders. For people to add fitting tips and supporting modifications etc etc. 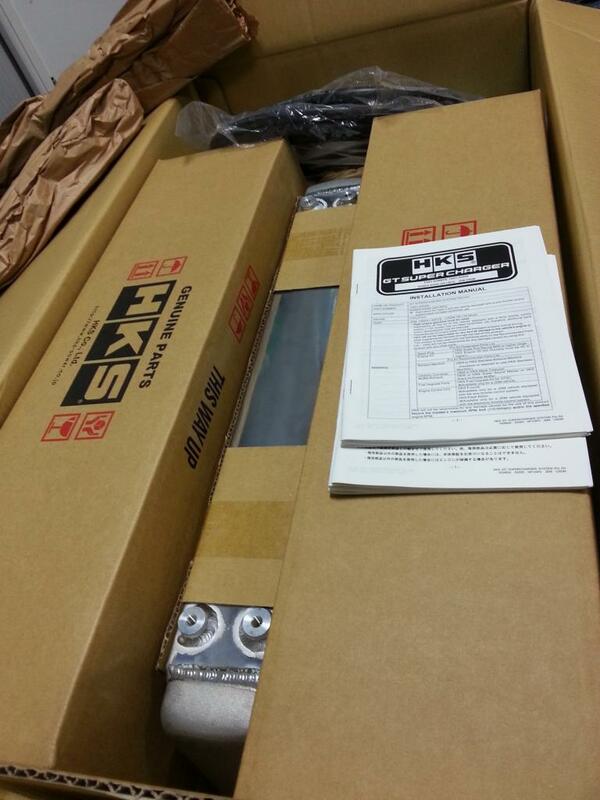 Below are some pictures of the HKS SC kit and then fuel upgrade kit. ※Capacity of stock fuel system of vehicles with electronic throttle is not enough for forced injection. Thus, upgrading of fuel system is required for supercharger. In order to use preprogrammed data of HKS Flash Editor, install HKS Fuel Upgrade Kit and φ44 restrictor. The HKS SC kit is a diy style 350-400bhp kit it is suitable for daily driving as well as for dbw and throttle cable models. Mapping is needed via the usual methods so aem v2, Hondata flash pro, or HKS. I have the Hondata flash pro and HKS recommend this or there own HKS unit to be used. 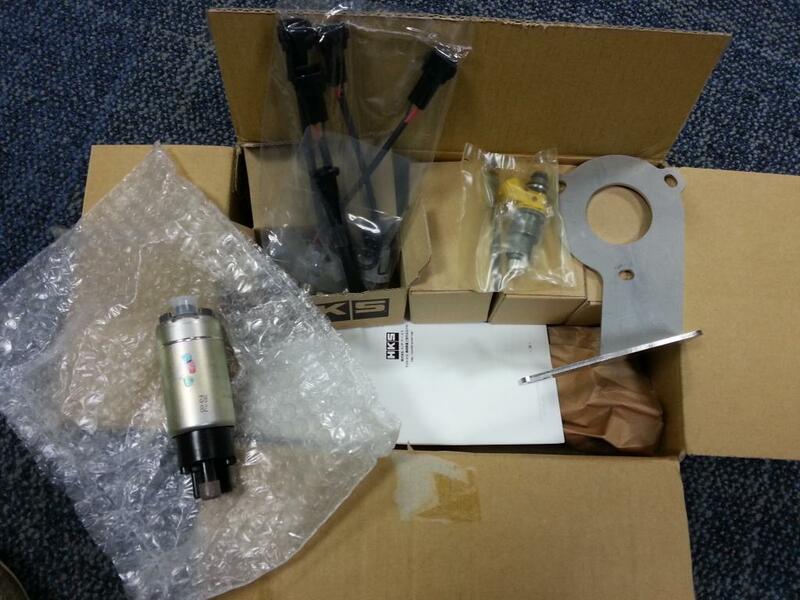 The kits injectors are 800cc units, the fuel pump is a denso 255lt pump, the SC is a rotex style charger. The fuel upgrade kit is not required to get started, the kit will run with OE fuel system and injectors. Personally I would at least upgrade the spark plugs. The kit runs ar around the 9-10psi range. The position of the SC is positioned to not add weight over the line of the struts, this is good for handling of the car. HKS does place the SC close to the manifold the HKS SC kit is designed with the HKS twisted manifold in mind, this includes keeping the OE heatshield so heat soak is less of an issue. If using the HKS SC with a different manifold with no heat protection you may well see more heatsoak. It may be a good idea to wrap or coat the manifold to help reduced heat soak if you want to use another manifold without the heatshield. I've had my HKS twisted manifold zircotec coated in performance white and do not use the OE heatshield, but I do retain the heatshield for the brake fluid etc. Iirc i think (waiting on confirmation) the HKS Spark plugs are included in the kit. M45i or Higher is recomended by HKS. HKS recommend the clutch is upgraded with this kit, a compition clutch stage2 is what I have added to mine recently and should be suited to HKS SC power while remaining the OE clutch feel. There is some talk of the HKS SC being down on power, the evasive s2000 had 310.3bhp and 212.7tq. Its not a big power kit, it's a bolt on daily driver kit. With this in mind I've seen that SOS sell an in-tank Fuel Pressure Regulator (fpr). This is a Denso Honda OE unit that has been reworked to increase fuel pressure by 3-5% it's my opinion that this may help keep performamce solid through the Rev range. Higher power FI car's may use a fuel return system but that isn't really needed for a 400bhp max kit in my opinion. SoS say over 425bhp and up when a fuel return system is ideal. The OE map sensor can read upto 12psi as the HKS SC is near the limit of this an upgrade may well be nice a 3bar map sensor is available for dbw car's as a direct replacement of oe sensor. SoS advertise it as a 4bar map sensor but it's a 3 handling up to 26psi. There was also some talk of the ap1 over spinning the charger high up the Rev range. All I know about this is that HKS did develop the kit on the ap1 to start with, but moved to the ap2 towards the end. I don't speak Japanese so not able to translate the HKS GT Supercharger kit development video on YouTube, the lower red line.and increased cc seems to be a winner with this kit, that said lowering the ap1 red line a small bit isn't all that bad for a daily driver. The ap1 HKS used was a mark1 ap1 not the ap1 facelift we have in the UK. Im not sure if that makes any difference but i thought the later s2000 ap1 hado slightly updated internals (very springs etc etc) as well as the improved gearbox internals. It's my opinion that after all the development on the original car it gave up and died, then HKS took that opportunity to interpret the data and see if the ap2 would work even better with the kit. Search for the YouTube video if you can it's a good watch, ill try and post a link. I think it's good HKS uses denso and Honda also use them so this shows attention to reliability as much as performance. The kit is designed for car's with Air con, I have removed mine so Si is sourcing the correct length belt for me, and it shouldn't be much of an issue. As with any increase in performance come the need for more cooling, while no upgrading is required as the s2000 is well equipped for this anyway I've opted for a mishimoto triple core rad and supporting parts of spoon thermostat and spoon fan switch just to be happy with the heat management, incase i decide track the car later on. As I say not needed but good for peace of mind. Supplier wise i know of another owner and myself who have purchased kits through Si at Hendy Performance, Si is a trader on this forum and is very reliable so I recommend him. Others are available but i can't comment of customer service, reliability etc on those. Si is also a previous owner of a SC S2000 so he has first hand experience with ownership of such an animal! I have high hopes for this being a very nicely made bit of kit. Looks nice likely very reliable too , I'm going to bet you money right now that you'll like 9-10 psi for a weeks, regardless of ultimate reliability you'll be upping the boost. Honestly folk told me and I was like Nah! Started off with 8psi ctsc with bolt ons circa 330bhp, 10, 12, 14 psi then turned to turbo haha. I'm going the same route, should have it fitted around mid January. I decided not to purchase the fuelling kit instead purchased a DeatschWerks 200 - 255 lph fuel pump which was on offer at co-ordsport for £46 and some Asnu 800cc injectors. Just trying to find out if the φ44 restrictor is recommended for the plug and play maps when using the hondata or HKS ECUs and whether the AP2 φ58 restrictor can be used if having a custom map. That's the majority i have off the top of my head I'll add more as and when. Let's hope it lasts... :-) be nice for you on track! !